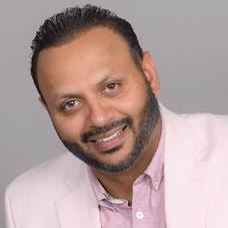 As a serial entrepreneur with over 20 years of experience in the software industry, Raj Mohan has built several multi-million dollar companies in Cloud, mobility, RPA, and Big Data. An expert in creating Nearshore organizations and deriving value from the Nearshore model, he founded Presidency Solutions in Guadalajara to bring the advantage of quality and cost effective nearshore solutions to his customers in the US. Based in Silicon Valley, he is also the CEO of Sentient-Minds, a leading digital transformation company specializing in RPA and AI. An investor and mentor to several international tech startups, Raj is passionate about innovation and emerging technologies. Check out the incredible speaker line-up to see who will be joining Raj.